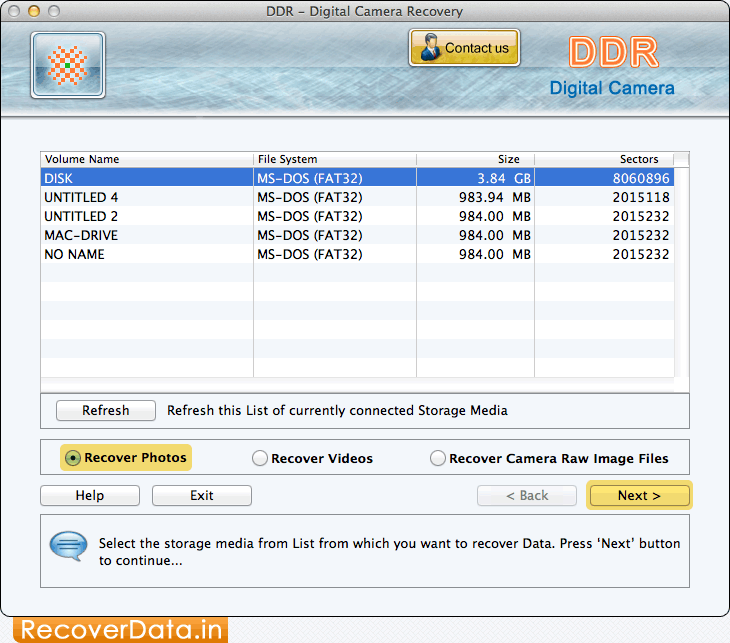 If you want to recover photos then select 'Recover Photos' option and click on 'Next' button to proceed. 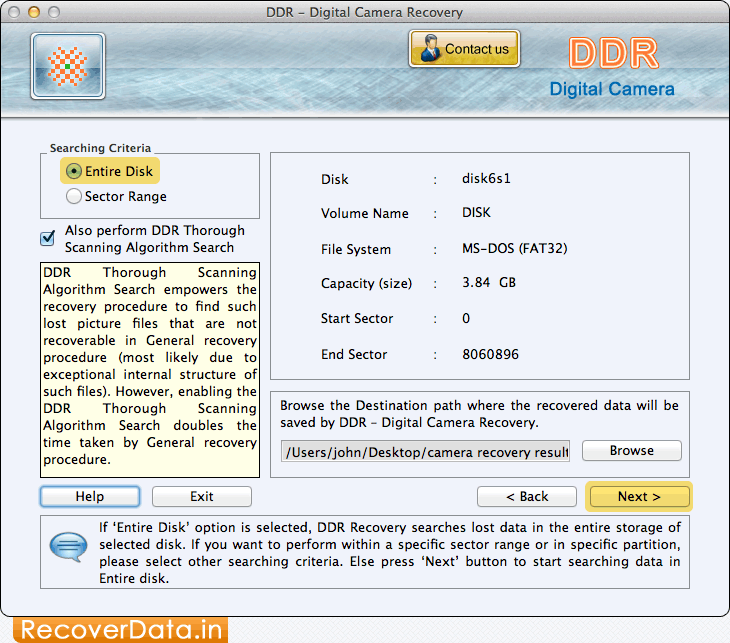 Select Searching Criteria either Entire Disk or Sector Range and then click on 'Next' button. 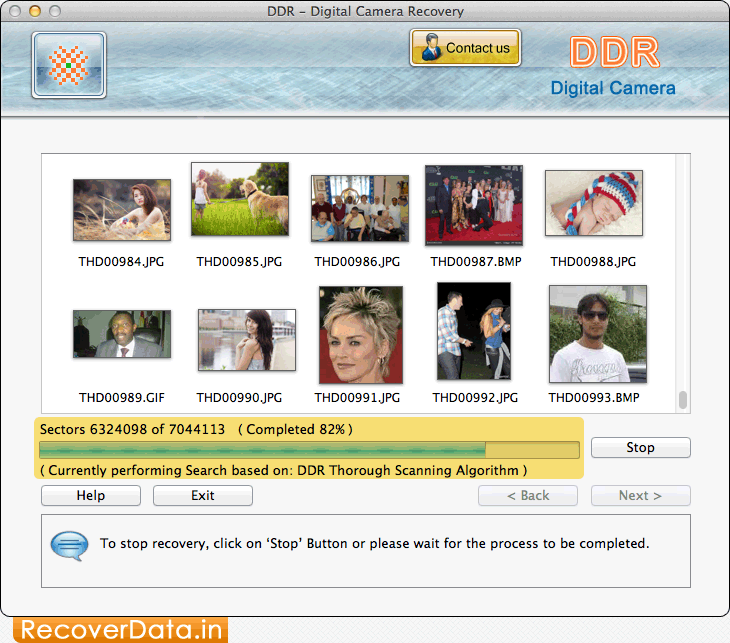 Disk Scanning Process using DDR Thorough Scanning Algorithm. 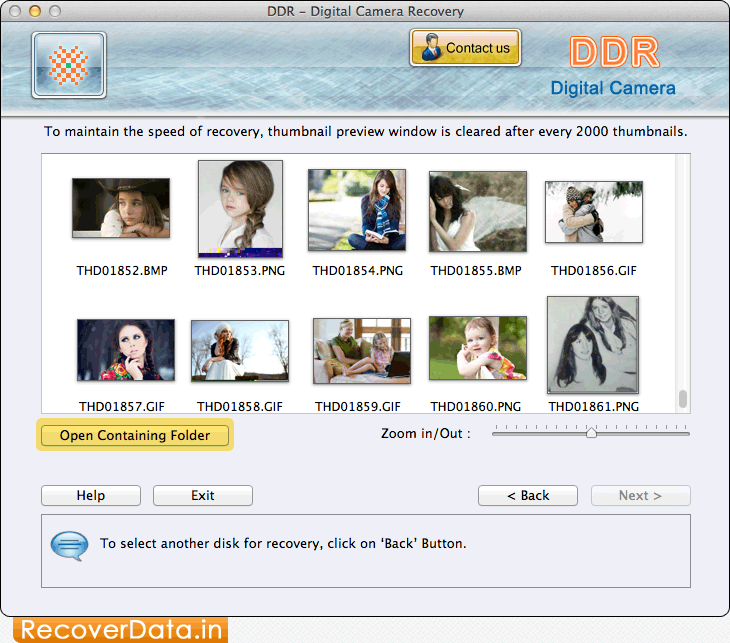 Click on 'Open Containing Folder' button to view recovered data.